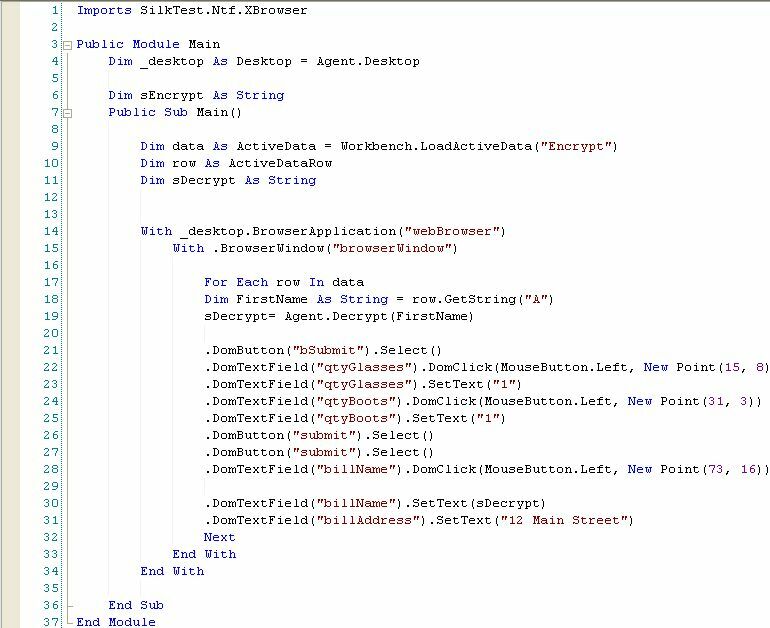 How can I pass encrypted data as input data during the execution of a .NET Script? Occasions may arise when you are dealing with sensitive data such as user names and passwords for a web application and as such you may not want this sensitive data to be visible within the actual .NET script. To deal with such scenarios the SilkTest Workbench provides the Encrypt method which allows for the encrypting of a given string, however as an Application Under Test does not expect the data being passed to it to be encrypted, you will have to decrypt the data prior to inputting it into the application. 4) Passes the decrypted as an input string for the SetText() method.